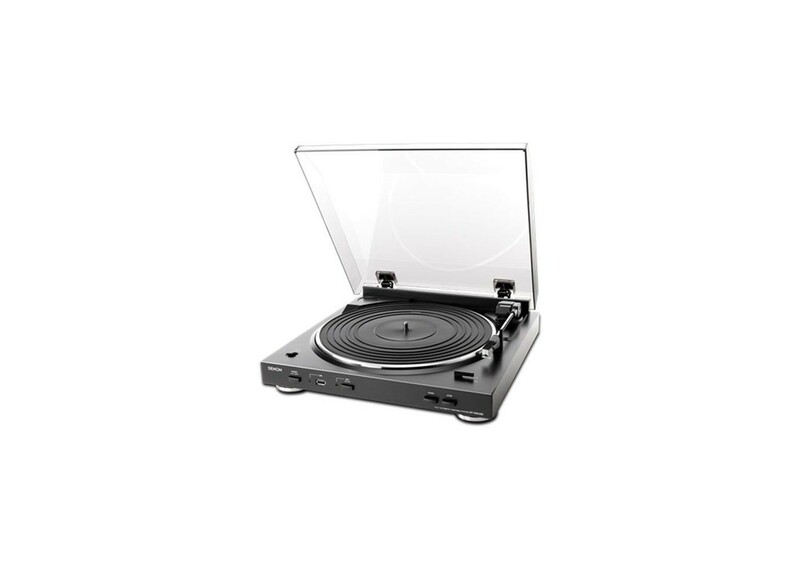 You will receive: 1 Denon DP-200USB Black Fully Automatic Turntable with MP3 Encoder. Now you can easily convert all of your favorite records to modern MP3 digital audio tracks with Denon’s DP-200USB fully automatic turntable. Equipped with an internal MP3 encoder, along with a front panel USB port, the DP-200USB lets you play your favorite LPs and create MP3 tracks easily and automatically. The included PC software features Audio Waveform Recognition, which checks the first 15 seconds of each track and searches the extensive Gracenote Internet music tracks database to capture the track’s meta-deta (artist, title, etc.). The software also features Auto Track Divide, which notes silent breaks between tracks and automatically inserts a new track tag for each track (you also have the option of doing this manually). The front panel USB port allows connection to a USB flash drive. In addition to the USB connection, the DP-200USB features conventional stereo outputs, which can be configured with or without RIAA equalization, for full compatibility with the widest range of audio components. Two-year warranty on New and One-year warranty on Refurbished model. The DP-200USB is a fully automatic record player that easily converts your analog records into MP3 digital audio files and stores them onto a USB memory stick. Using USB memory makes it easy to transfer your digital files when you don't have your PC near your record player. Built-in RIAA Phono Equalizer(swtichable), can be used with any audio system with AUX or phono inputs. Fully automatic record player for ease of use and gentle record handling.